A little more than six months after the dematerialized release of Episode 4, we’re back with the new part of Khzi’s adventures, our favourite nutty alien! 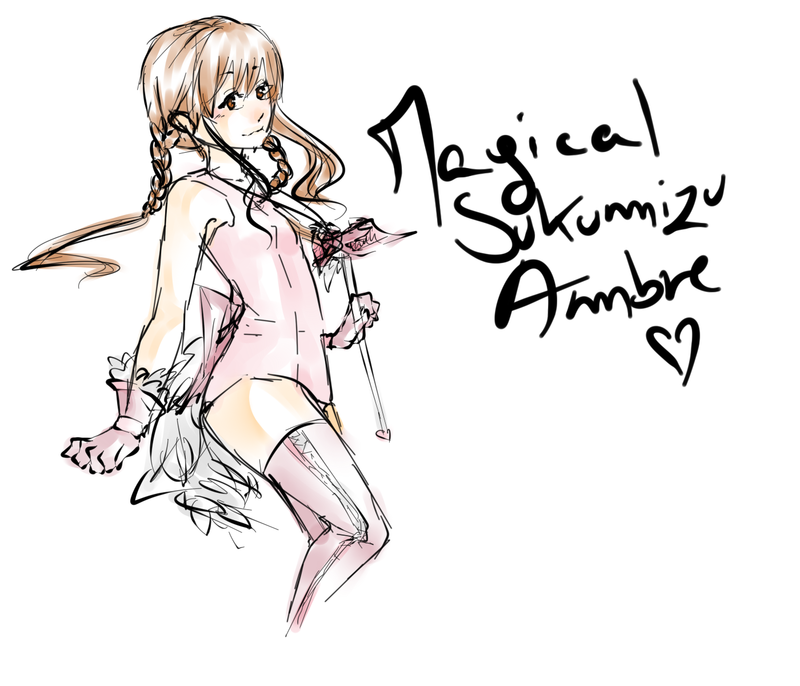 Well, once again, the production has been rather chaotic. I think we can definitively assert that the previous time was an exception and that I’m utterly unable to draw up a believable deadline… There were some changes in the team too with the departure of Jeungo and the arrival of Kinect who’s proving to be quite efficient ! It remains that the waiting time between each release is slowly decreasing (from one year to six months), which is good news for the most hungry readers ;). 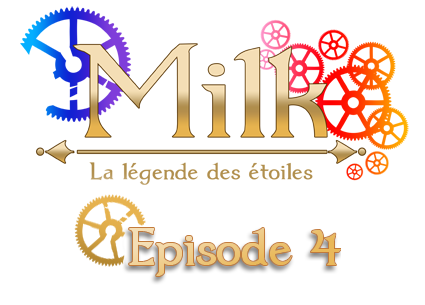 Milk ~La légende des étoiles Episode 4 (the link is on the page, as usual) includes many small alterations on sound, illustrations and text, all in hope of making the reading more interesting. I hope it’ll pay. 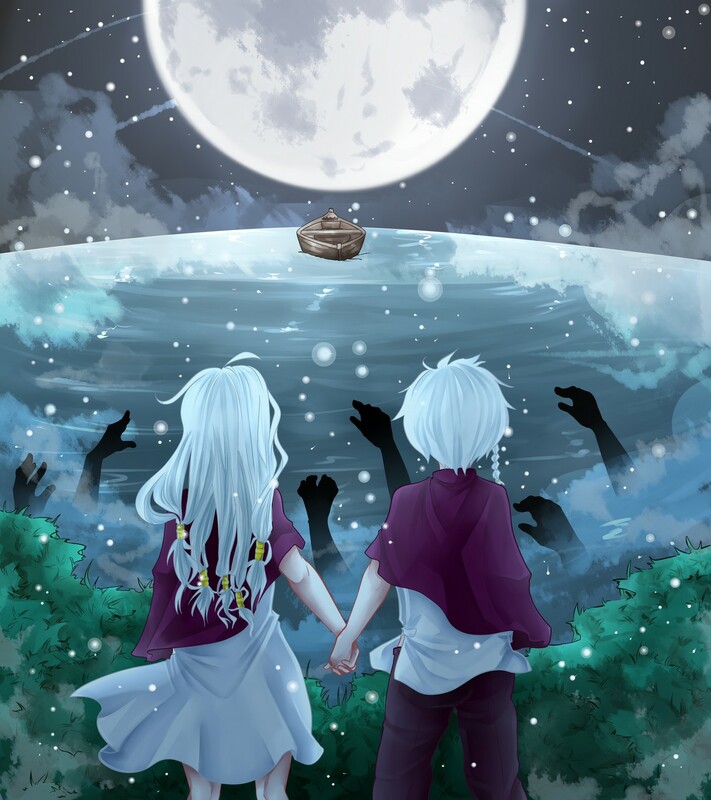 It should also be noted that Episode 5 will be the last part of Khzi’s adventures.